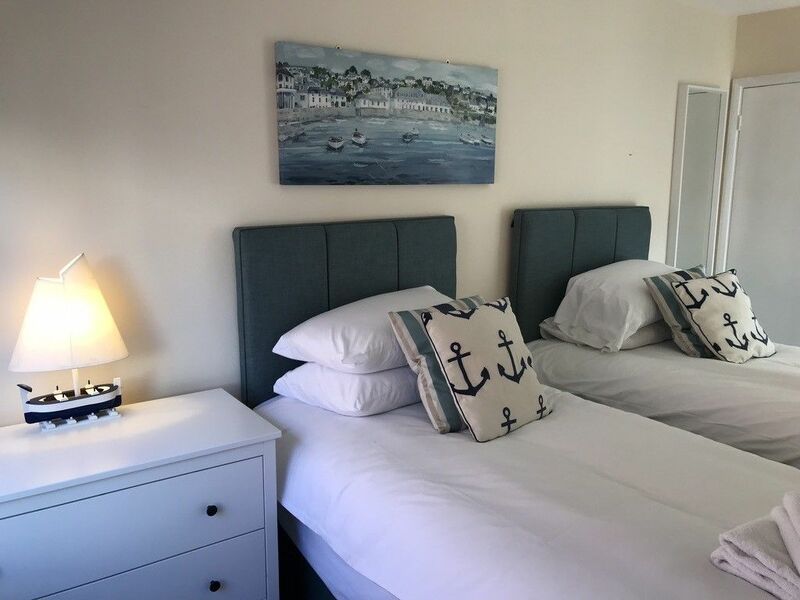 Penny Cottage offers a high standard of accommodation The bedrooms have new (2019) hotel-quality beds and quality linens to ensure a good nights' sleep. The owners have taken care to add artwork and accessories with local connection, minutes from the lively history of Old Portsmouth. The internet is high speed (200mps) and there is a TV in the lounge along with comfy sofas. There is ample dining space for a family along with a modern and fully-equipped kitchen. The location of Penny Cottage is exceptional. In the heart of Old Portsmouth, you will find many historic pubs and eateries offering good value as well as quality, the waterfront with historic fortifications and Henry VIII's castle, Viviers Fish Market bringing the catch of the day. Just a few minutes walk from the main University Campus and a short distance to Gunwharf Quays and the Historic Ships. Penny Cottage is also convenient for transport links (1.45 to London, 40 minutes to Chichester or Winchester by train). Penny Cottage has easy ground floor access (bedrooms on 1st floor) and a downstairs cloakroom as well as a small courtyard garden with patio furniture for a nice sundowner after a hard days' sightseeing. Parking is included. Penny Cottage is equally suited to a group of people staying for work, the high speed broadband makes connectivity easy and there is space to work at the dining table, gather with your colleagues for a small meeting or to relax after the day is done. Stopover Portsmouth manage professionally in Portsmouth & Southsea. We have hosted over 3000 visits are proud to have a booking.com average review score of 9.2. We have a wide range of houses, apartments and rooms to meet your needs. I am a local host and can always be contacted to provide help and assistance. I am passionate about Portsmouth and love to share my home City with my guests. We try to make every stay special with good local information and well equipped, spotless properties. Old Portsmouth, with it's famous 'Spice Island (whether for it's imports or racy past! ), hotwalls sea defences, Military History or active Arts scene is a must-see for any visitor. Take in the world renowned Historic Ships including Henry VIII's Mary Rose, Nelson's Victory or HMS Warrior before shopping at Gunwharf Quays. There is always a marvellous seascape to be seen from any part of the seafront.